Oct. 19, 2016, 1:53 p.m.
By Shan Wang @shansquared Oct. 19, 2016, 1:53 p.m.
Where do new radio shows and podcasts come from? For an organization as big as NPR, that’s a complicated question. When you consider the work that takes place in member stations and among independent producers, the list of potential birthplaces for new shows is nearly impossible to keep track of. To better create an environment where that sort of cross-pollination happens, NPR today announced an expansion and restructuring of what it calls its Story Lab — a multi-part initiative that includes teams from programming, NPR’s internal News Lab, NPR Training, and the listening app NPR One. Grundmann, together with VP for news programming and operations Chris Turpin, heads it up. Testing and incubating new ideas has been happening at NPR, of course, but spread across a number of different units and in a number of distinct ways. 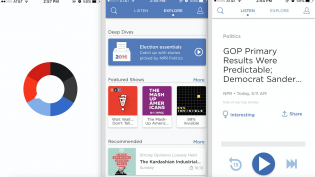 NPR One has served as its own lab for testing (and getting listener data from) pilots, such as an environmental podcast. 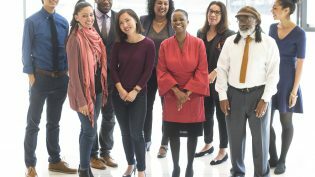 Last year, what was then called the Storytelling Lab (led by Turpin and Michael May) launched to formalize processes by which NPR staffers can pursue and pitch longstanding passion projects outside of the standard news cycle, then figure out how to bring those ideas on air. The newly reframed Story Lab aims to bring those and other efforts under a common structure. The new and improved Story Lab is trying to open up more ways for ideas to surface from people who might otherwise have no obvious outlet. NPR Training and AIR will hold another training program next March for at least 10 teams (applications opened Wednesday, and independent producers are welcome). May’s Storytelling Lab lives on, but morphed into what is now called the NPR News Lab, which is part of the new Story Lab. (We speak from experience here: There are too many things in journalism named “Lab.”) It will continue to serve as an internal incubator for early-stage ideas, which can move on to a pitch and pilot review process. 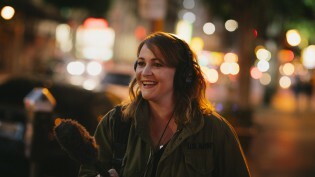 May holds callouts for ideas (which don’t need to strictly adhere to hard news — the last theme was “humor”), embeds with interested people on the news side who have specific ideas, and runs “mashup” days where people from different desks take two days off the daily grind to get to know each other’s work and share ideas. “Ideas” aren’t full-blown podcasts or new on-air shows, May stresses; they can be a series of pieces that run on one of the newsmagazines, or a segment from a producer who has a story idea but has never voiced a piece before. NPR is launching an online portal to handle pitches from both within NPR and outside it and to make the process more systematic and transparent. Eaton is making no prescriptions for the types of shows NPR wants to acquire. Rather, she said, NPR is evaluating shows based on the strength of the overall proposal, the potential audience, and the feasibility of the project — what it would take to get it up and running, whether it has a business model, how much it would cost to produce episodes on a regular basis. 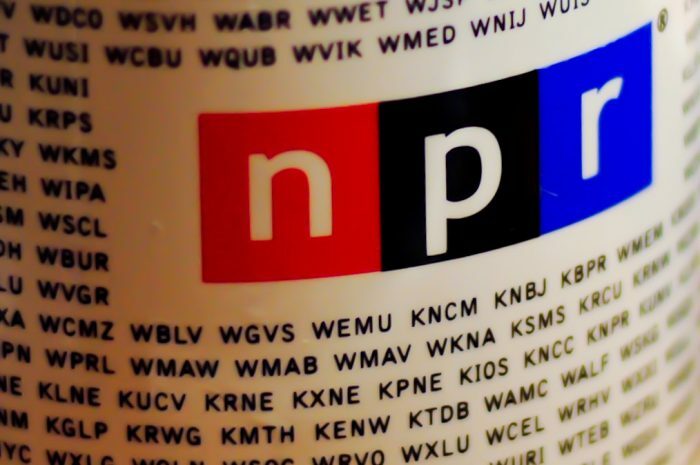 Photo of a NPR member station mug by Elvin W. used under a Creative Commons license. POSTED Oct. 19, 2016, 1:53 p.m.
Wang, Shan. "With its broadened Story Lab, NPR is looking to build up its next generation of shows and podcasts." Nieman Journalism Lab. Nieman Foundation for Journalism at Harvard, 19 Oct. 2016. Web. 23 Apr. 2019. Wang, Shan. "With its broadened Story Lab, NPR is looking to build up its next generation of shows and podcasts." Nieman Journalism Lab. Last modified October 19, 2016. 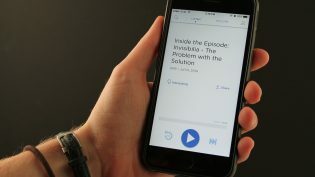 Accessed April 23, 2019. https://www.niemanlab.org/2016/10/with-its-broadened-story-lab-npr-is-looking-to-build-up-its-next-generation-of-shows-and-podcasts/.